Gromdar inventor Jeffrey Shanes says he hopes Americans will soon be unable to envision their lives without a Gromdar. SAN JOSE, CA—Laying out his vision for the company’s future at a shareholder meeting yesterday, Gromdar, Inc. cofounder and Gromdar inventor Jeffrey Shanes said that he is determined to put a Gromdar in every home in the nation, sources reported. 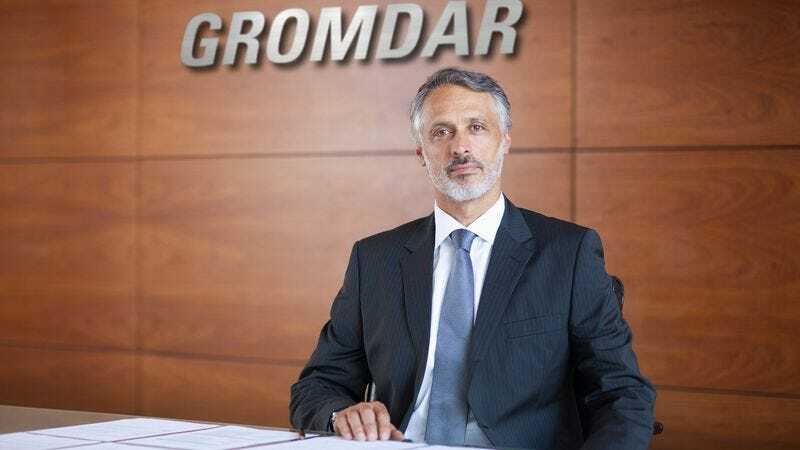 According to the company’s website, Gromdar, Inc. originally manufactured Gromdars exclusively for military use, winning a lucrative contract with the U.S. Department of Defense to supply powerful Gromdars for operations in Iraq and Afghanistan. With profits from the government contract, the corporation reportedly invested millions of dollars in research and development to adapt Gromdars for the commercial sector, and soon began selling thousands of Gromdars to businesses across the country. Shanes explained to shareholders that advances in technology have allowed Gromdars to be manufactured more efficiently and inexpensively than ever before, bringing down the cost and size of the device as well as reducing the numerous safety hazards of Gromdar ownership. Responding to concerns about the marketability of home Gromdars, the tech entrepreneur acknowledged that most new products face resistance from the consuming public when they are first introduced. However, Shanes expressed his confidence that using a Gromdar—or Gromming—would quickly come to be regarded as a fundamental and indispensable part of everyday life. As part of the company’s efforts to bring Gromdars to the public, Shanes said that Gromdar, Inc. is embarking on an ambitious marketing initiative including television spots, prominent social media campaigns on Facebook and Twitter, a sponsorship deal with actor and musician Jared Leto, and product placement in popular movies and video games. By the end of the next financial quarter, Shanes said, his goal is to see consumers lined up around the block to get their hands on the latest Gromdar. “The question isn’t whether you can afford to buy a Gromdar; the question is whether you can afford not to,” he added.